'The mystery of Life, the mystery Of Death, I see Darkly as in a glass...' Christina Rossetti (1830-94) is perhaps the most contradictory of the great Victorian poets. She writes of the world's beauty, but fears that it may be deceptive, even deadly. She is a religious poet, but much of her work is driven by uncertainty. Her poems are restrained, even secretive, but they seek nothing less than the mystery of Life and Death. This edition contains Rossetti's strongest and most distinctive work: poetry (including 'Goblin Market', 'The Prince's Progress', and the sonnet sequence 'Monna Innominata'), stories (including the complete text of Maude), devotional prose (with nearly fifty entries from the 'reading diary' Times Flies), and personal letters. Those poems which Rossetti published, and those which she withheld from publication, are here brought together in chronological order, allowing the reader to observe her poetic trajectory. This edition also records the major revisions made by Rossetti when preparing her poems for publication. 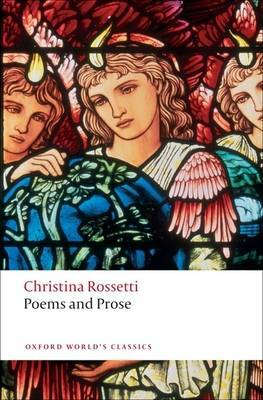 It brings together the fullest range of Rossetti's poetry and prose in one volume, and is an indispensable introduction to this entrancing writer. ABOUT THE SERIES: For over 100 years Oxford World's Classics has made available the widest range of literature from around the globe. Each affordable volume reflects Oxford's commitment to scholarship, providing the most accurate text plus a wealth of other valuable features, including expert introductions by leading authorities, helpful notes to clarify the text, up-to-date bibliographies for further study, and much more.